Trivandrum, 22 February 2012: The renovated Senate Hall of the Kerala University will be opened next month after completing the facelift jobs. The hall which is one of the much sought location for cultural and other programmes in the city is renovated under a budget of Rs. 50 lakhs. The hall will feature close circuit televisions, new seats, infrastructure for centralised Air conditioning, improved sound system, etc. 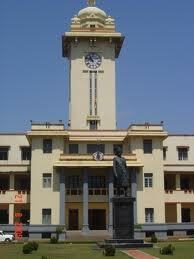 The rennovated hall will be opened for the 75th diamond jubilee celebrations of the Kerala University. The hall which was closed from February 2010 onwards has already spend more than one crore for the facelift.